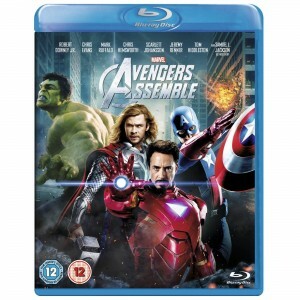 The biggest film of the year will take retailers by storm on 17th September 2012 when Marvel Avengers Assemble is released on Blu-ray and DVD. As well as giving fans the chance to enjoy the exhilarating action and the movie?s visually stunning special effects over and over again, Blu-ray audiences will also be treated to a host of behind-the-scenes insights and all new footage. Coupled with box office takings that exceeded $1 billion globally after just 19 days ? making it the third biggest movie of all time globally ? Marvel Avengers Assemble is unquestionably a must own Blu-ray and DVD. Pre-order sales for the film?s Blu-ray and DVD release underline how hotly anticipated this release is, racking up enough sales in three days of pre-orders to put it on track to be the second biggest week one in pre-order sales ever in the UK. Exclusive to the Blu-ray edition is the highly anticipated all-new short ? Marvel One Shot: ?ITEM 47.? The Avengers won the battle, but a few items were left behind…is the stark warning underlining this side story in which New York City is in ruins following the epic climax to Marvel?s Avengers Assemble. Certain alien technology has been left behind. S.H.I.E.L.D. recovered all but one?a Chitauri weapon, aka ?ITEM 47.? Fans will only be able to find out what happens after Benny (Jesse Bradford) and Claire (Lizzy Caplan), stumble across the elusive weapon by watching the thrilling short exclusively on Blu-ray. Also, for the first time, Marvel shares scenes that never made it into the cinematic version of the movie and invites viewers to the very early stages of pre-production on the film ?Marvel Avengers Assemble?. Included in the 90 minute documentary ?Building A Dream: Assembling the Avengers? is never before seen footage from ?Iron Man? as well as fascinating insight from director Joss Whedon and producer Kevin Feige on how they began creating the Marvel Cinematic Universe for what has been described as ?the smartest, wittiest, & most unapologetically entertaining comic-book adaptation of the modern era? (Kevin Maher ? The Times) and become one of the most anticipated and talked about movie events in the world. Marvel Avengers Assemble brings together some of Marvel?s most loved and iconic superhero characters in the biggest superhero movie in history. Directed by Joss Whedon, the film stars Robert Downey Jr., Chris Evans, Mark Ruffalo, Chris Hemsworth, Scarlett Johansson, Jeremy Renner and Tom Hiddleston, with Stellan Skarsg?rd and Samuel L. Jackson as Nick Fury, from a story by Zak Penn and Joss Whedon with screenplay by Joss Whedon, Marvel Avengers Assemble is based on the ever-popular Marvel comic book series ?The Avengers,? first published in 1963 and a comic institution ever since. The appetite for Marvel Avengers Assemble is seemingly insatiable. In addition to smashing box office records Marvel?s official Facebook site is liked by over 4 million people, and the new Facebook game ?Marvel: Avengers Alliance? attracts over 1.2 million daily users. 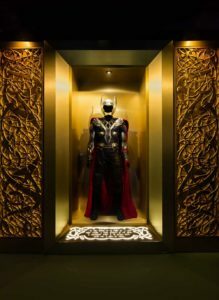 Sales of all consumer products ranging from action figure toys to adult apparel have exploded since the launch of the movie and is set to continue with with new additions to the range of existing products available and a new animated series of ?The Avengers: Earth’s Mightiest Heroes? set to premier this summer on Disney XD. Filming has just begun on Iron Man 3, which will be released in 2013. 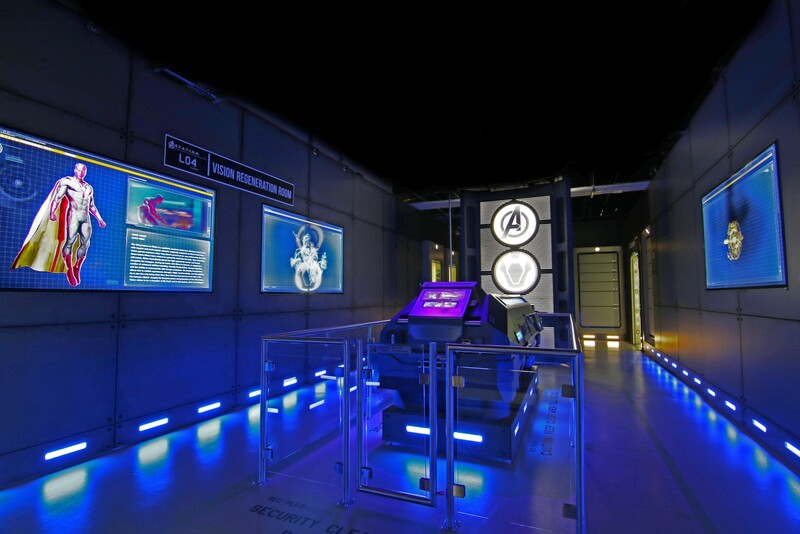 Marvel Avengers Assemble is presented by Marvel Studios in association with Paramount Pictures. The film is produced by Marvel Studios? President Kevin Feige and executive produced by Alan Fine, Stan Lee, Jon Favreau, Louis D?Esposito, Patricia Whitcher, Victoria Alonso and Jeremy Latcham.